Zionist regime is set to heavily lower prison standards for Palestinian inmates, a decision that is likely to ignite a new wave of protests both inside and outside of Israeli prisons. A committee established by Israeli Public Security Minister Gilad Erdan to explore ways to downgrade quality of life for Palestinian prisoners into a bare minimum is about to hand in the results of its studies, Israeli media reported Thursday. Upon forming the committee in June, Erdan said his objective was to pressure Hamas and other Palestinian resistance groups to hand over the remains of Israeli soldiers they hold in the Gaza Strip. The committee would recommend a drastic cut in the number of family visits for prisoners and revoke their permissions to buy meat, fish, fruits and vegetables from outside the prison. The inmates will also lose their right to cook food inside the jail cells while authorities would also take away their food grinders and blenders. Israeli prison officials would also recommended in the report that Tel Aviv limit the number of television channels the inmates could choose from. The status of “ward spokesperson” would also be removed in the new approach, meaning that the prisoners’ representative would only be allowed to raise a certain range of issues with prison officials. Meanwhile, the Israeli Knesset is looking forward to pass a bill that can increase minimum jail sentences of 40 years to more than 60 years for alleged “terror suspects,” the Israeli media reported. At least 1,500 prisoners have started a mass hunger strike. The number is expected to soon rise to 2,000. Israel’s right-wing party Yisrael Beiteinu, headed by minister of military affairs Avigdor Lieberman, is pushing for a separate bill that eases the use of death penalty by courts for such cases. Israel’s cruel treatment of Palestinian detainees in recent years has led to mass hunger strikes by inmates as a last-ditch effort to raise international awareness and force Israeli officials to change the conditions. Last year, hundreds of Palestinian inmates heeded a call by popular prisoner Marwan Barghouti to go on a hunger strike. The protest went on for 40 days before Israeli authorities agreed to strike a deal with the inmates. According to prisoners, the deal only met 80 percent of their demands. 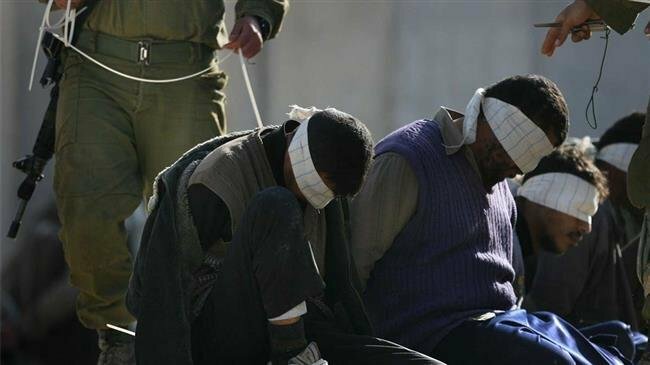 Some 6,500 Palestinians are currently being held in Israeli jails, over 500 of them arbitrarily, figures provided by the Palestinian prisoners’ rights group, Addameer, showed in January.